It’s easy to succumb to fast food when you’re busy, stressed and pressed for time. But seriously. Here are three takeaway foods you can just as easily make at home; it’ll taste better – and be better for you. I think everyone makes their dough slightly differently. A friend uses self-raising flour and milk in hers (???!!!). But you can’t go wrong with a basic dough of flour, yeast, salt, water and olive oil. Don’t forget the oil! It gives it a nice smooth texture and will make it easier to knead and roll out. Start with the dough, and once you’ve got your bases ready, smear them with tomato paste. Arrange your cut-up toppings over the top, and sprinkle with cheese. Bake in the oven at 180 degrees C for about 20 minutes or until cooked – when bases crisp up and toppings are bubbling. Tip: shake things up by mixing a couple different kinds of cheeses, or new vegetable combinations – I’m a big fan of eggplant on pizza. There are really only two steps. Cook patty, then assemble. To make it a little more interesting, try adding a fried egg, hash brown, bacon strips, or some caramelised onions. Brown the mince. Add in the tomatoes and beans, bring to a boil, then simmer until the mixture thickens. I like to add a few squirts of pure ketchup into the mix, and sometimes a dash of paprika, cayenne or chili powder. Take it to the next level with toppings: sour cream, cheese, spring onions, fresh herbs. You win. What fast foods do you recreate at home? Yum, we make pizza and burgers at home! To be honest, we prefer pizza out just because we haven’t mastered it yet but we keep trying. We also do tacos and fried rice at home. YUMMMMMAY! I am starving now. Butter chicken is a popular one at our place! Pizza and burgers are big ones on my list of “at-home” fast food. 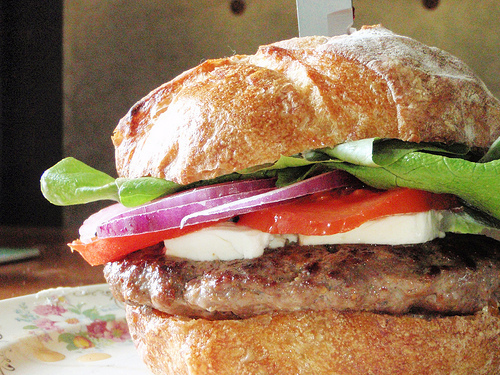 Dough is so easy to make and burgers are easy to put together and toss on the barbeque. We also make our own chicken caesar wraps. 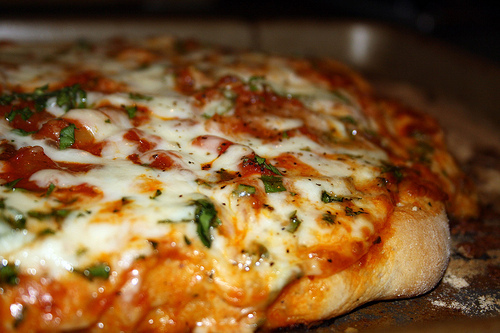 For the pizza, I find that adding sauteed and crushed cherry tomatoes gives it great texture and more flavor. Great recipes! I want all of those right now! Wow those are some loaded nachos. They look great. 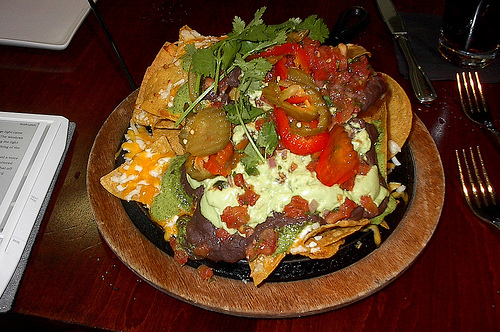 You’d pay a small fortune for nachos like that here.